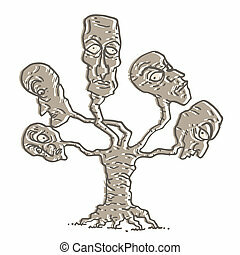 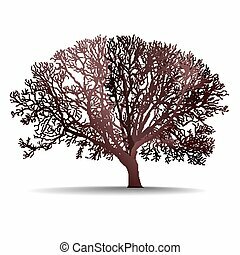 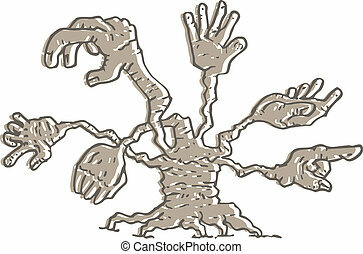 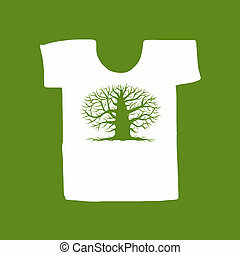 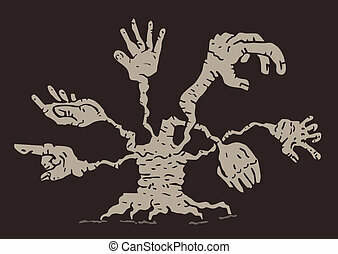 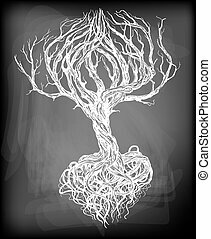 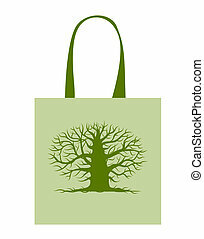 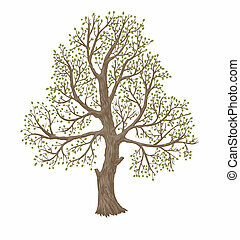 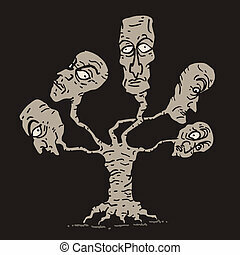 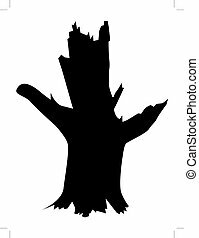 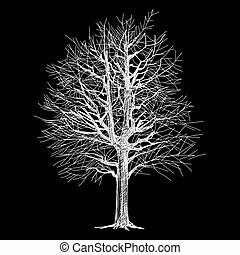 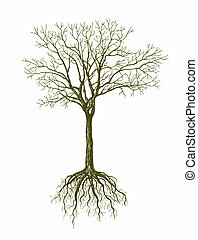 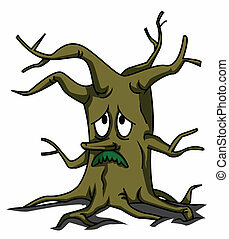 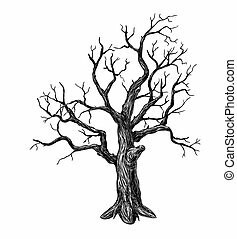 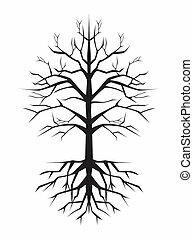 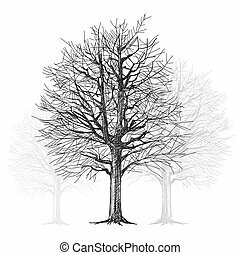 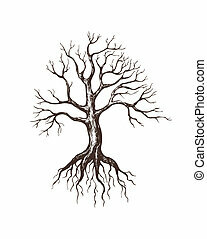 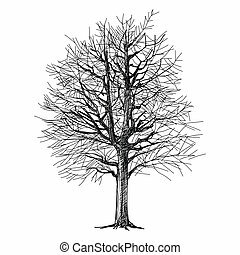 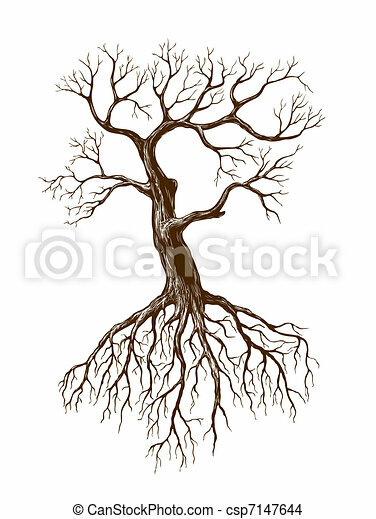 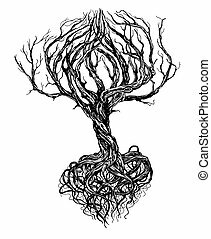 Illustration of big leafless tree. 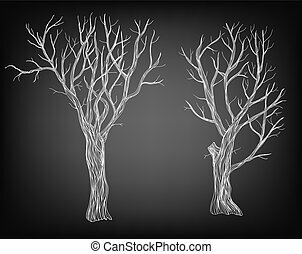 Two hand drawn bare trees on chalkboard background. 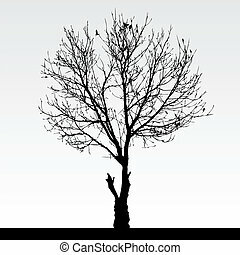 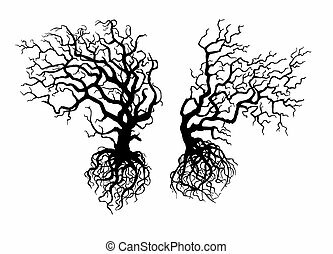 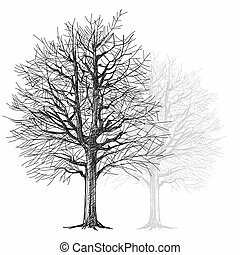 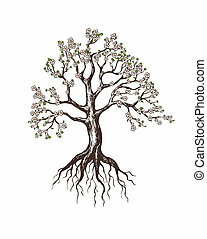 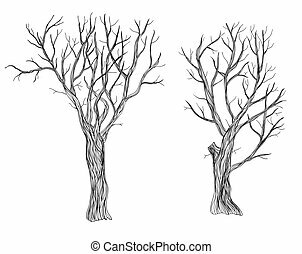 Two hand drawn bare trees on white background.